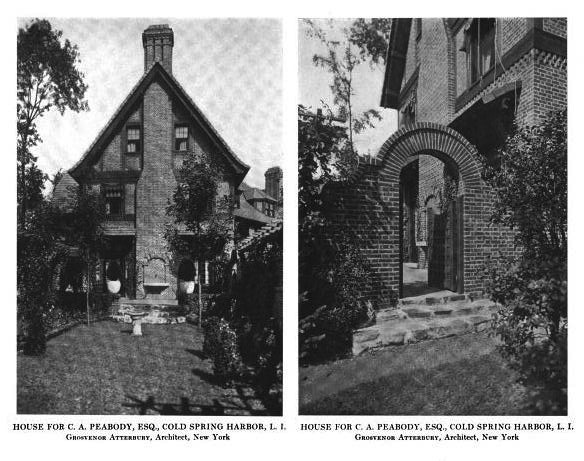 The Charles A. Peabody estate designed by Grosvenor Atterbury between 1910-1912 in Cold Spring Harbor. Click HERE for more on the residence which has since been demolished. Photo from the Annual Exhibition of the Architectural League of New York, 1913.